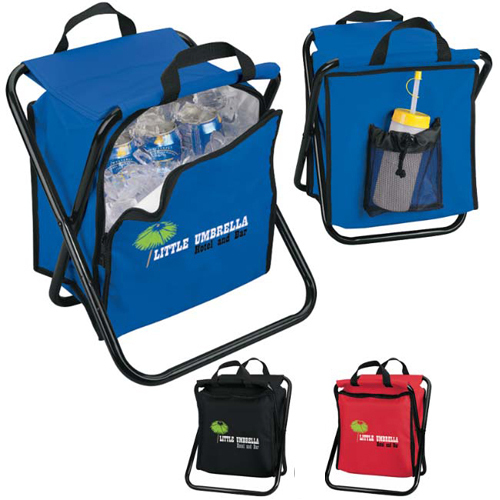 Koozie Chair Kooler hold 12 cans, plus much more. 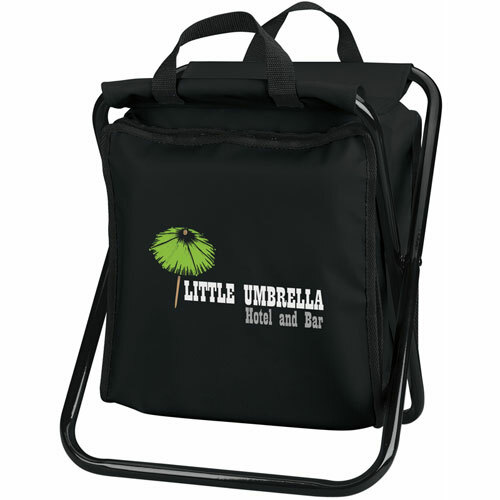 Promotional Koozie Chair Kooler.Be the envy of the crowd! 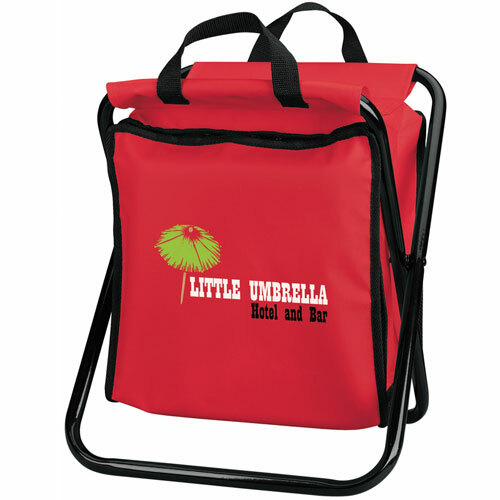 The Kooler Chair is perfect for the beach, a picnic or any sports event. 420D Vylon with tubular steel folding frame, holds 250 lbs. 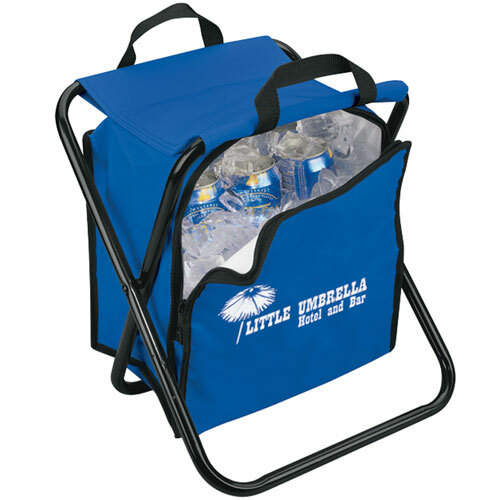 Kooler bag with double zipper, Binding around all seams, Two 1" wide web handles for easy carrying and a watertight compartment. Mesh pocket on back. Bulk / 18 lbs / 6 pcs.